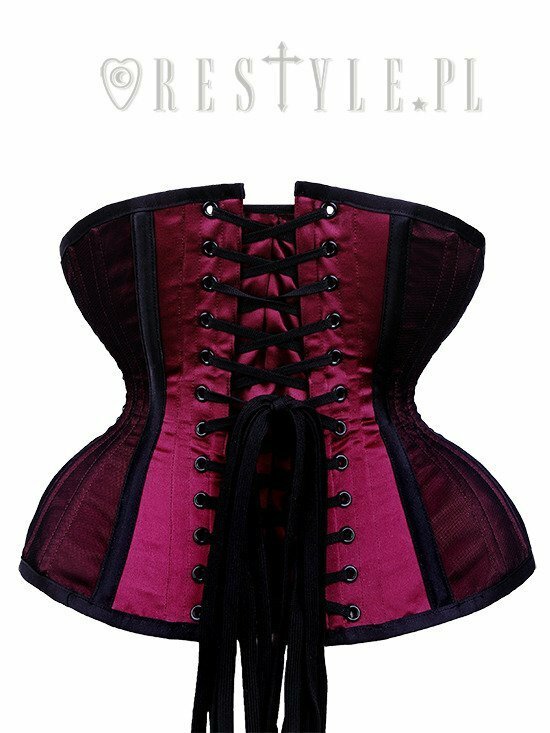 Gothic satin corset, hourglass shape, sturdy "CU8 Burgundy Underbust"
Restyle corset in new CU shape with extra room for ribs and big compression on waist which gives dramatic curve to any figure. 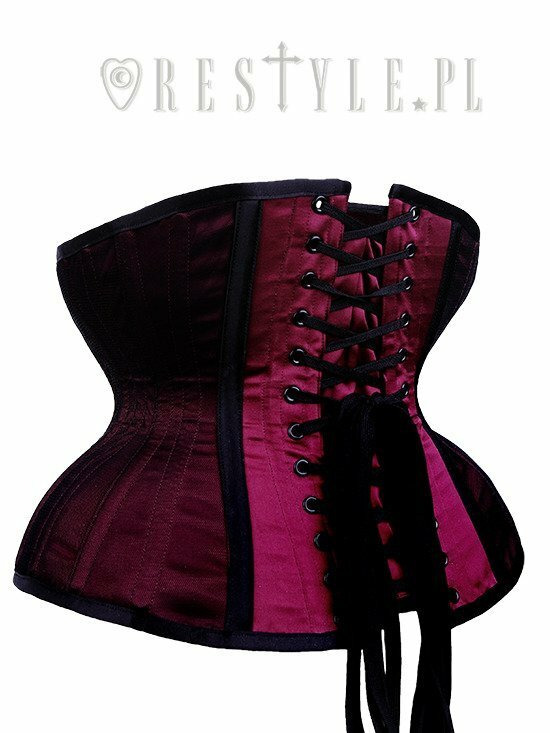 Fashion fabric made of burgundy satin with side panels covered in black mesh. 18 spiral bones provide comfort and fit perfectly to the body, especially in curved areas. On front there are flat bones with five parts black busk. Measure your actual waist at it's narrowest part, subtract 4-7 inches from it (10-17 cm). Substract level depends on how much compression you want, how squishy vs firm and your experience level. 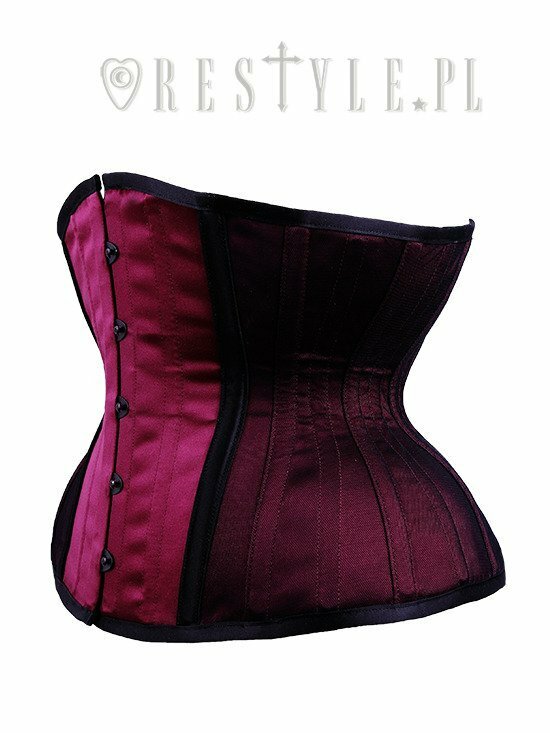 Please note: Corset which is shaped closely to your body's natural shape will season faster that one is not. 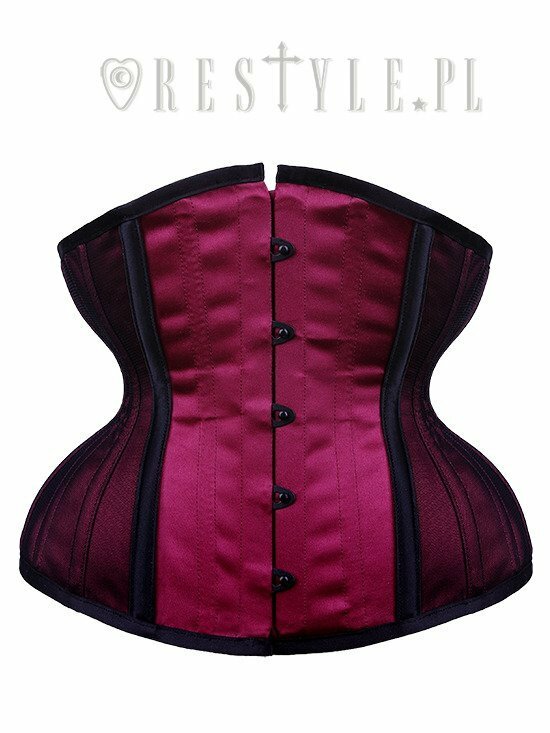 these corsets are by far my favorite OTR brand. Great quality and it is a joy ordering from them. Fast responses to customer inquiries and really fast and reasonable shipping. Rock on guys! So I bought this and it arrived about 6 days later. Weighty and sturdy. The colour is a beautiful rose pink covered with net at the sides. 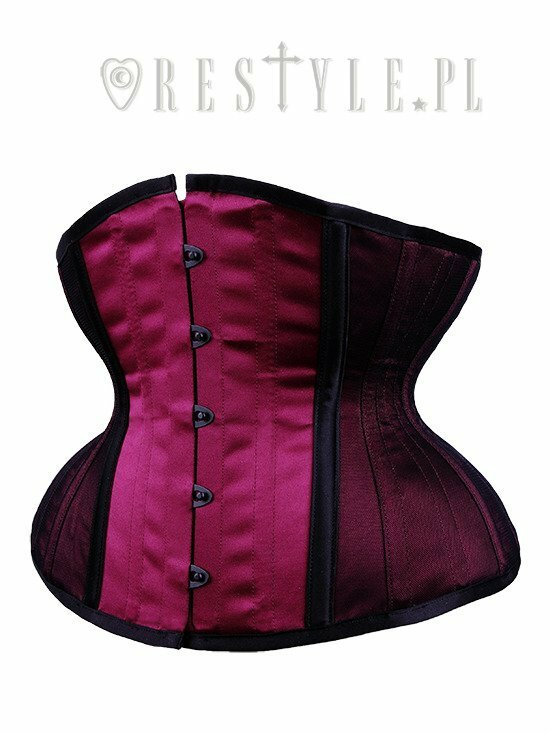 I have purchased those cylindrical 'corsets' in the past until is dawned on me (bruising can do that to you) that I am actually fairly curvy 42-30-41 with an abrupt hip spring. I bought the 24 inch. The picture in the advert is fairly accurate . I have worn it only 2 hours (seasoning it gradually). It gives me a dramatic hourglass already that can only get better over the next few days. There is still plenty of room at the hip and ribcage for tightlacing. I am hoping that my enhanced shape will stop me from eating so much so I actually lose some weight. Really pleased with this. Thanks to everyone who wrote a review.